When outlining broker excellence, it is always helpful to begin by painting a picture of the company that is executing an effective strategy. There are many dimensions to operating a successful brokerage. 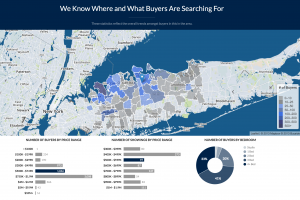 Daniel Gale Sotheby’s International real estate finds its success by serving consumers along the North Shore of Long Island from Manhasset to the North Fork where they operate 25 offices to support about 850 agents. Real Trends ranks the firm 59th in the Nation across all brokerage for volume, and fourth in America among Sotheby’s franchises. They are among the first brokerage firms in the Nation to develop buyer data as an asset. We met with their CTO, CIO and CMO to understand their buyer as an asset strategy. 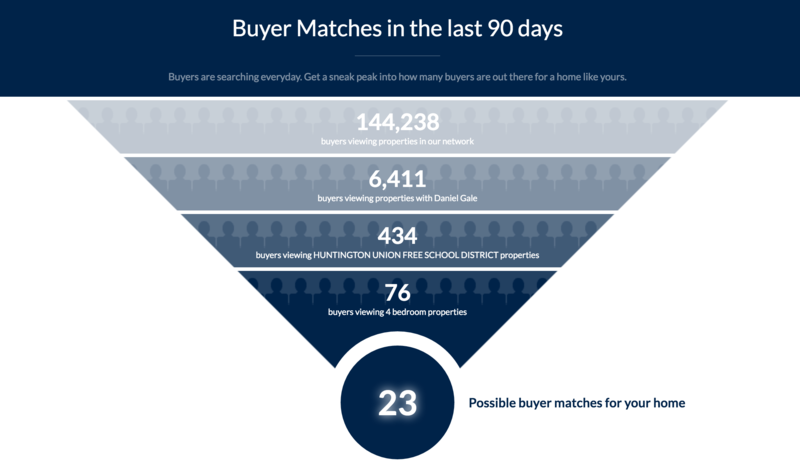 We interviewed, Susan Poli, Chief Information Officer for Daniel Gale Sotheby’s International Realty to learn about a new strategy that we are beginning to see brokers execute around making buyer data an asset of a brokerage. For Daniel Gale, data assets have long been understood in terms of listing data. “The management of a broker’s listing inventory continues to be a center of excellence for Daniel Gale,” says Poli. They have long understood the value of the supply side management in real estate. Now they have branched out to improve the demand side of data asset management. They are moving beyond lead management into buyer asset management. “When agents present our company services to prospective sellers, we follow the custom of outlining how our marketing excellence will expose their property to the largest audience of potential buyers,” says James Retz, Chief Marketing Officer at Daniel Gale. Daniel Gale Sotheby’s blends the International reach of the Sotheby’s brand with the local expertise of Daniel Gale. Marketing is a center of excellence for the firm. 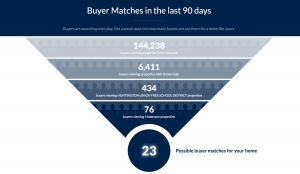 “In the development of our new buyer demand strategy, we go beyond marketing to a inform sellers of the number of buyers we have for their home today!” While most agents are talking about how they are going to market a listing and wait for buyers, Daniel Gale agents are telling the story about how they already have buyers for their home. List with Daniel Gale right now and they will begin inviting buyers to showings immediately. Daniel Gale happens to sell around half of the listings that they list. Putting buyers and sellers together has always been their thesis, but they are using technology to better understand the opportunities today. We learned from Jon Evans, Chief Technology Officer for Daniel Gale that the company has licensed a service from BuySide. The technology team for the firm pulls all buyer data from all sources to hydrate the BuySide system. This includes every buyer lead generated from the broker website, agent websites, virtual tours, Realtor.com, open houses, inbound calls, and every other possible source. “Reverse Prospecting has been around for a long time, but before BuySide, it was difficult to translate the value of our buyer volume to sellers,” says Evans. “The larger the firm, the better BuySide works” says Poli. “Showing a seller that you have one possible buyer for their 4 bedroom, three bath home for $4 million is somewhat impressive. Showing the seller that you have dozens of buyers is far more illustrative of why sellers benefit from listing with large firms that are market leaders.” Controlling a sizeable percentage of the entire market is something that only large firms can leverage as a differentiator in the race to develop buyer assets.